Both 3904s so why the big difference? It is not a surprise at transistors. Need to be sorted if want a enough same pairs. First idea: check both +5V circuit are working. If one 7805 not working (or bad soldering or cracked pin) then D2/D3 make a cross supply, but voltage droped on diode. Then only about ~4V on the non working +5 side. Once I found this situation, then the machine running, but the screen don't stable. Another idea. try adjust L2. Possibly a very fine crack in a PCB track near the transistor, you might not even be able to see it. Good call! That worked with the new transistor so I'm back in business. Just need to find the jumper settings required for a fairly modern 1.2MB floppy drive since I have a brand new one that I hope can 'dumb down' to EP levels, currently it's just saying 'drive not ready'. My others appear to be 40 track only and I'm assuming I need 80 tracks? Good call! That worked with the new transistor so I'm back in business. Just need to find the jumper settings required for a fairly modern 1.2MB floppy drive since I have a brand new one that I hope can 'dumb down' to EP levels, currently it's just saying 'drive not ready'. Yes because the 1.2MB drives spin at 360RPM, for the EP need a 300RPM mode. TEAC FD55-GFR are easy can be used: photo 1. photo 2. TEAC FD55-Fxx are originaly 720K (300RPM,80 tracks, DD) drives. I also know some NEC 1.2M drives which can be jumpered as 720K. Others need to view the jumper manual. But these are only important if you already have a 5.25" EP disks (you got with the EP stuffs?). For 3.5" any 1.44MB drives can be used with EXDOS. At default the PC drives work as B: , if possible set the Drive Select to DS0, then will be as A: , this also can be done with cable modification. Need to use DD disks, or cover the HD hole on 1.44 disks, and reformat to 720k on Enterprise. Yep, a few original games, some converted Spectrum games, utilities, CP/M stuff etc all on 5.25. However I've also got the TOSEC software bundle downloaded so I might try the 3.5" floppy route too. I've got a pair of external 3.5" DD units from the QL as well as a Cumana dual set that may have come with a Memotech MTX but I can't remember. I've moved house so many times in the last 10 years I've lost track of where some things came from originally! Yep, a few original games, some converted Spectrum games, utilities, CP/M stuff etc all on 5.25. Can you upload these? Compare with the know softwares. Forcing my 'new' floppy drive to 300rpm and 720k still produced 'drive not ready' so it's possible the drive itself is toast, shame as it's never been used! In a cupboard I found a switchable Cumana single drive and that's currently working nicely. RAWRITE or dd or something? On EP side, you can found DISKCOPY on the IS-DOS disk, for copy the 5.25" disks to 3.5". How successful was the exhibition? Some photos? No pictures yet, I've been checking whether I need clearance to post them because of kids being involved but it was an open event so I'm sure it'll be fine. Crazy busy day, LOTS of questions about the EP128 because none of the assembled geeks had seen one before. Typically my floppy drive started failing on me but it didn't seem to matter because people were surprised at the disk interface and DOS-like commands. I also had it sat next to the SAM Coupe and one of my modded Speccies so lots of questions about those too. Good stuff! Hi! Welcome on the forum! Firstly I suggest clean all contacts (even if not look dirty). 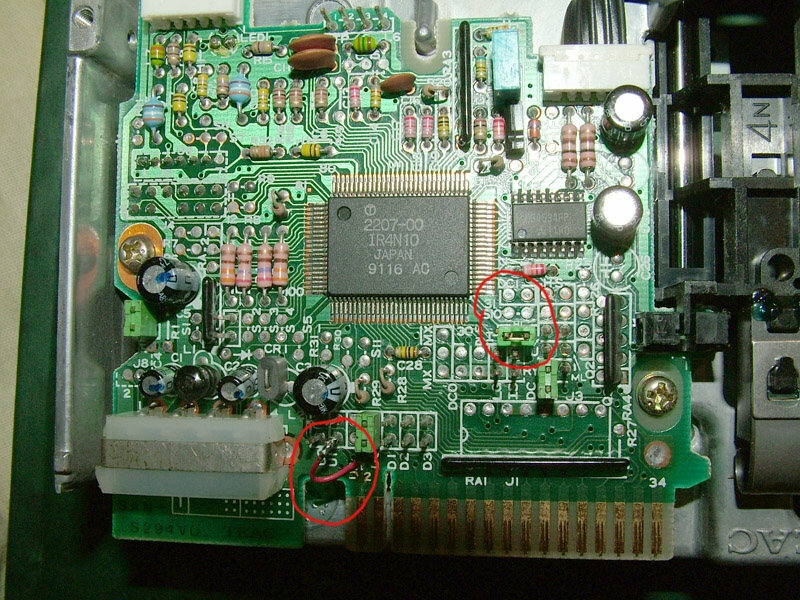 And my tactics for plug in: firstly plug the Brige to the card, and see from bottom the pins going on the right way. Then try to plug to the machine. The original English Bridges (grey) are better than the Hungarian ones (black). In the machine possible the motherboard little moved (especcialy when disassembled it for the repair) in the case then the connection will misaligned. It is can be best viewed if the machine top removed. This print the first bytes of the EPROM, if only 255 printed the something very bad. The cards are worked previously? "I also have a couple of old prototype HDD cards, I'll dig those out too." "Hello Zozo. I have the same error than the mate at this commentary, when I insert my clone ExDOS card. 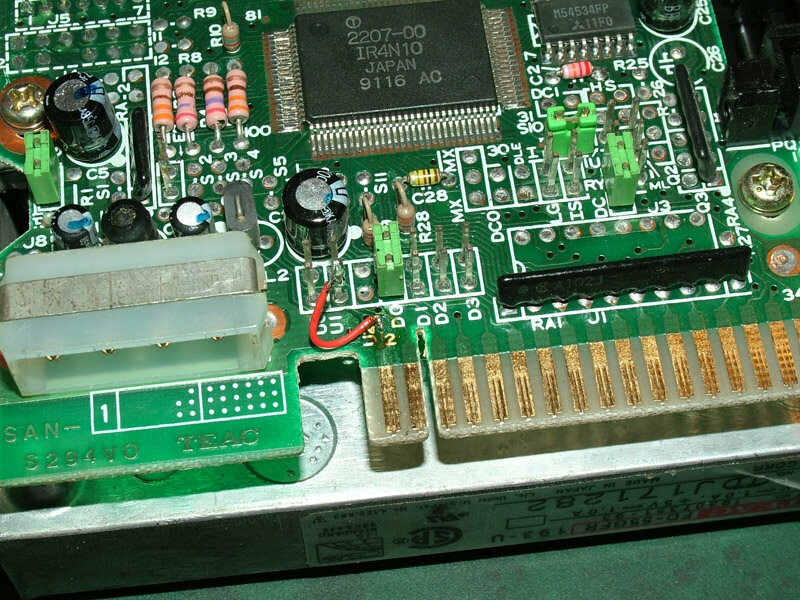 For me is like if the bus and the edge card connector where misaligned..."